Never give a loan to relative and never borrow money from them. This was one of the most valuable advice given by my father and I am following it strictly. As you know that a loan to relative or friend is insecure in nature. The terms and conditions of the loan are not clear and you may end up losing money and relation. Asking money back from relative or friend is very difficult and painful exercise. Moreover, this types of loan are generally interest-free. So, you end up losing more money. Recently I came across a similar incident where my friend has given a loan to his uncle for starting a business before 2 years. Now, he is struggling to get his money back. The second incident was posted by a reader Manju as a comment in which she received a notice u/s 143(2) of income tax for high-value cash deposit in her account in FY 2014-15. The amount was received as a loan from her close relatives who is not income tax assesse. She don’t have any documentary proof of such loan. What to do now? Both these documents are legal documents and valid as a legal proof. (1) Promissory Note – Promissory Note is a simple document which contains promise of paying loan amount by fixed date by the borrower. A promissory note can be taken on stamp paper of Rs.100. The basic format of a promissory note is same. The sample promissory note is given below. Once this promissory note is made it is mandatory to get it notarized from the advocate. The advocate will take small fees for the notary. If advocate is not available you can simply put revenue stamp and sign on that. Promissory note can be hand written document. Once promissory note is singed it is kept by lender. You should use full name as appear in PAN card or voter ID document. Make sure to mention date and place clearly in the promissory note. It is advisable to get this documents signed in the presence of witness. (2) Loan Agreement – Loan agreement is a contract between lender and borrower. A loan agreement is detailed document contains terms and condition and all legal aspects of the loan. The loan agreement contains detail about loan amount, interest rate, time period, terms in case of default, loan disbursement details, Amortization Schedule and undertaking. A simple google search will give you sample format of the loan agreement. Remember following points while making a Loan agreement. Loan agreement requires signature of both lender and borrower. Loan agreement should mention clearly interest rate, time period for payment and other terms clearly. Loan agreement should be registered or notarized by the advocate. Never give loan in cash. Always carry out the transaction through a bank cheque and mention the cheque number in the agreement. Gift or loan from any family members are non-taxable in nature. Interest free loans are non-taxable for lender and borrower. Any loan given to relative where interest needs to be paid, the lender has to pay tax on the interest earned. If the loan is taken for the purpose of buying a home no tax payment is required on the interest payment by borrower as per section 24. 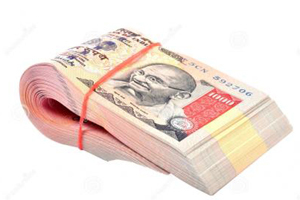 If loan is taken for personal purpose borrower need to pay tax on interest component payment. If you decide to give loan to relative it is advisable to discuss openly about payment terms and other conditions of loan. You might feel odd while discussing. However, if you want to avoid tussle in future you have to do that. I feel the best way is to refuse giving loan to relative or friend.